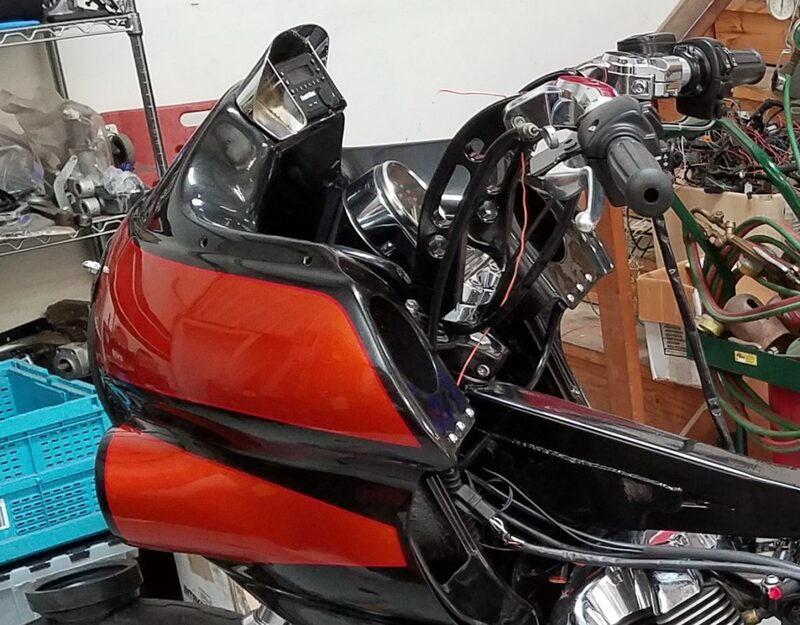 We’re having a great time customizing this 1991 Harley Davidson FXR to fit an S & S X-Wedge Engine. 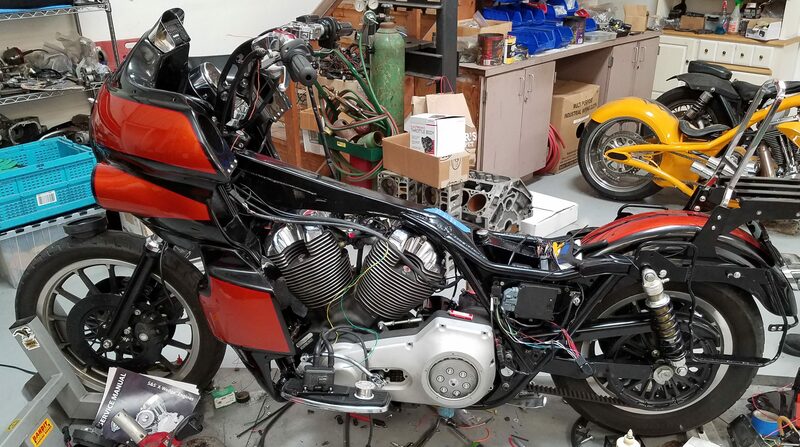 A solution was needed for our client to fit the engine, as the original FXR frame didn’t give the engine enough room for installation. Metalcraft Racing cut and lengthened the frame by 2″ to accommodate the new engine and give our client the design and specs they desired. Also fitted here in the shop is this mid-80s FXRP Fairing. Metalcraft Racing also installed our in-house custom designed and fabricated radio frame to fit the unique styling. For help with your own custom motorcycle repair, fabrication, or welding work, please feel free to Contact Us by phone or email so we can discuss how to help you with your project. ← What Do You Have Under Your Paint? 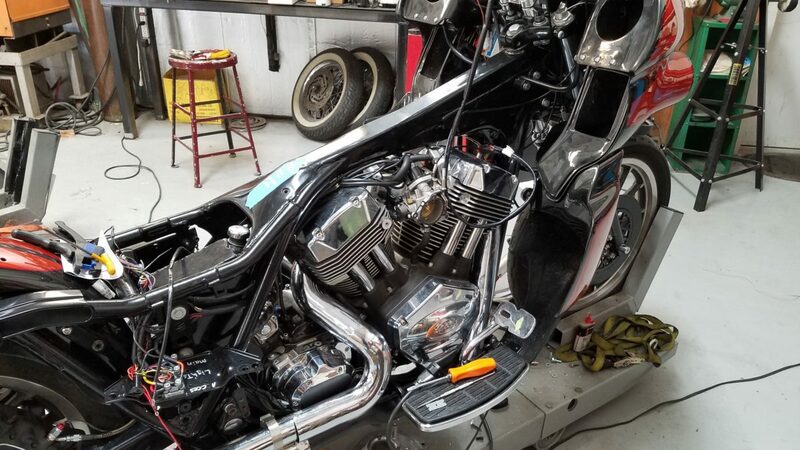 Hey Buddy!, I found this information for you: "’91 Harley Davidson FXR S & S X-Wedge Engine Installation". Here is the website link: http://metalcraftracing.com/91-harley-davidson-fxr-ss-x-wedge-engine-installation/. Thank you.